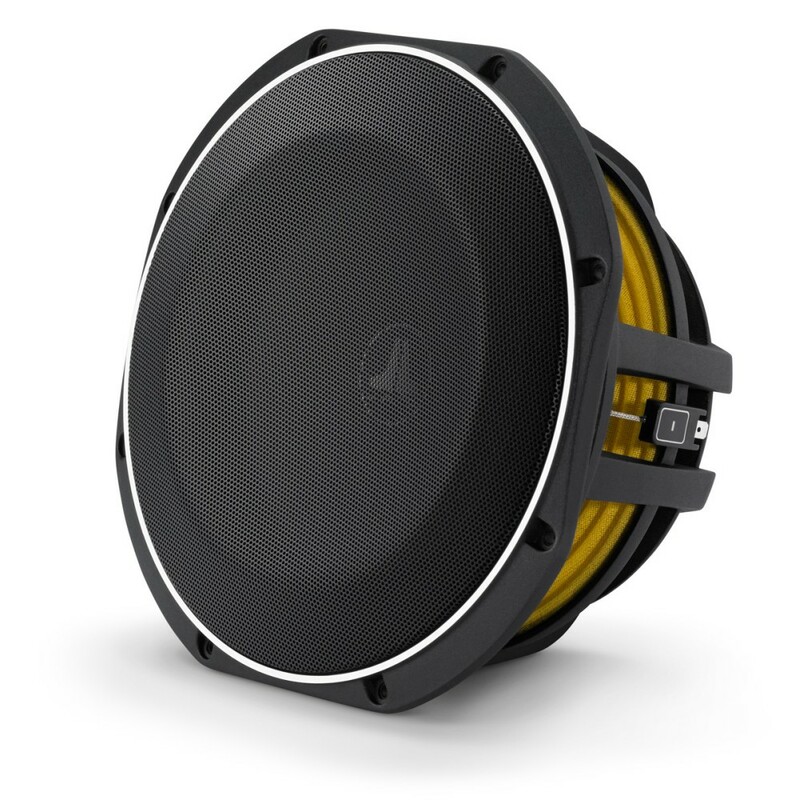 Built on JL Audio's patented thin-line subwoofer technology, the 10TW1 delivers a powerful combination of shallow mounting depth and excursion capability. Built on JL Audio's patented thin-line subwoofer technology, the 10TW1 delivers a powerful combination of shallow mounting depth and excursion capability, while operating in insanely small enclosures (0.35 cu.ft. / 10 liters). This, combined with a special cast alloy frame design, makes the 10TW1 capable of operating in extremely tight spaces. 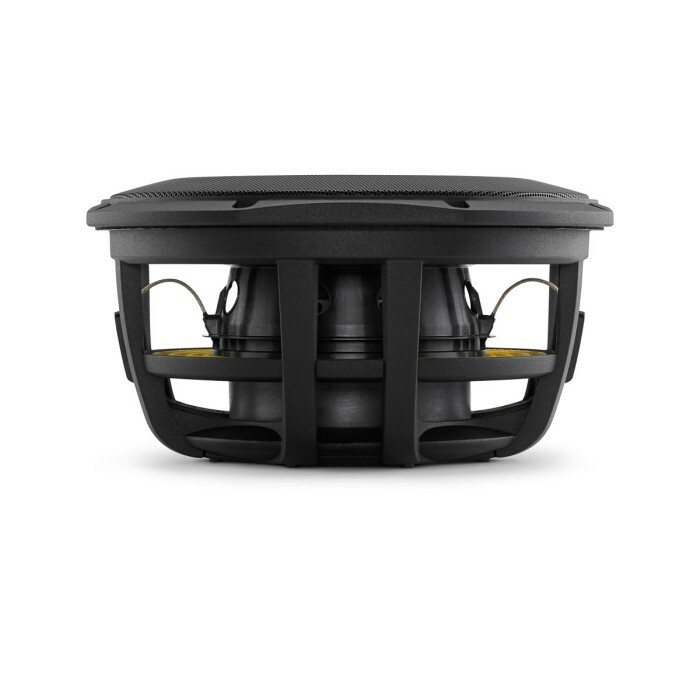 These include under-seat installations in trucks, 2-seat sports cars and many other creative applications requiring a compact, low profile subwoofer design. 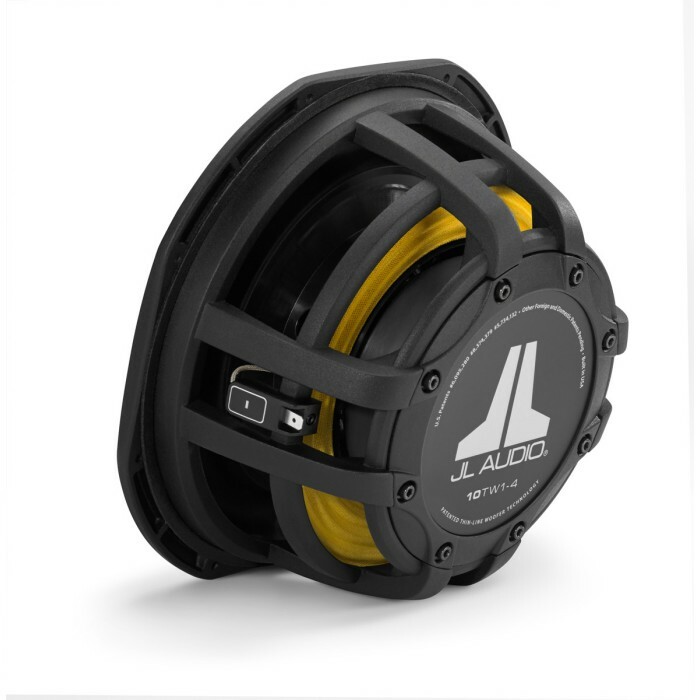 JL Audio's patented thin-line woofer technology compresses the architecture of the 10TW1 using a "concentric tube" structure built into the injection-molded cone body. This structure supports the voice coil and a full annular spider, while permitting the placement of a large motor structure further forward in the speaker than with conventional designs. The 10TW1 also features a clever frame design that minimizes the frontal clearance required for the excursion of the driver. This is accomplished by recessing the suspension attachment surface, so that most of the forward excursion occurs within the frame's dimensions. Thanks to this feature, the 10TW1 requires only 0.87 inches (22 mm) of frontal clearance, even with its grille installed. This allows for more efficient use of space and increased enclosure volume within a given overall depth. 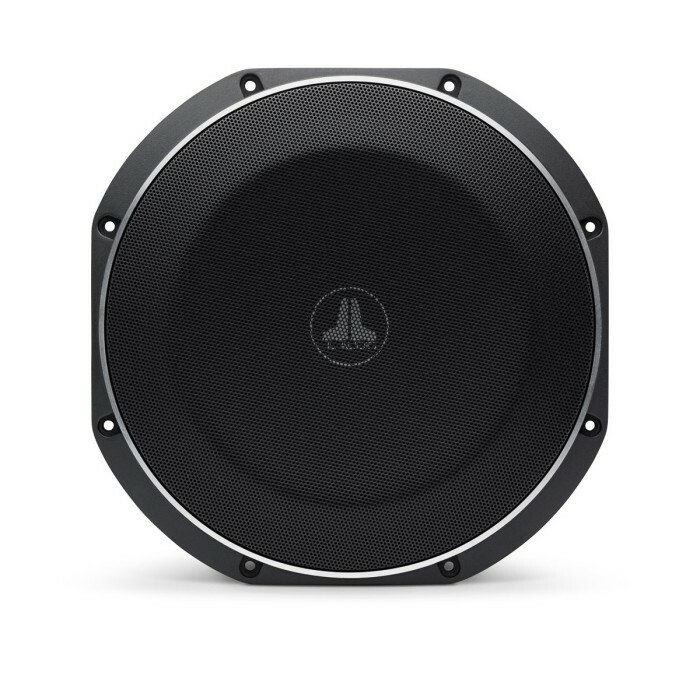 Even though the 10TW1 is optimized for an enclosure much smaller than any other JL Audio ten-inch subwoofer driver, it never sounds like a big woofer struggling in a tiny box...instead, it delivers all the rich, deep, controlled bass you have come to expect from a JL Audio subwoofer system.